Looking for life's little ironies can make the journey more enjoyable. 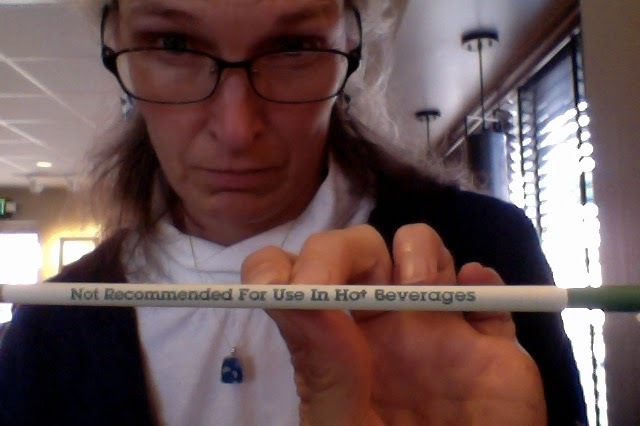 Did someone once say, "I think I'll try drinking my hot coffee with a straw"? This month I'm not teaching—I'm living. Not that living is superior—it’s just what we’re teaching students to do. So what have I been doing, that I teach kids how to do in high school English? Reading. Maps so I can get where I’m going. Articles about Japanese culture, economics, history, and more—so I can sound somewhat knowledgeable answering all the questions I get asked. Lila by Marilyn Robinson for introvert recovery after meeting with people all day. The Scarlet Letter to get ready for English 11 next year. Writing. Newsletters. Blogs. Presentations. Letters. Emails. Messages. Texts. Tweets. Listening. To the people we meet (after all, they are inundated with our news—this is our once every few years chance to hear theirs). To questions from audience to hear their real concerns. To missions conference orientations to make sure we are the right places at the right times doing the right things, and to keynote speakers and other missionaries to glean experience and wisdom. Speaking. With individuals, in small groups, or in more structured venues. Teaching kids to sing a song in Japanese and fold origami cups, making an adult Sunday school presentation, or giving a 2-minute self-introduction to the congregation. It’s a bit of a strange life, this 6-month missionary home service thing. But take a couple of minutes to think of any given vocation—when does a person doing that vocation read, write, listen, speak? How would being able to read, write, listen, and speak more skillfully help them pursue that vocation even more effectively as one of their modes of loving God, his creation, and his image bearers? Then be sure students understand the reason learning what you’re teaching will help them live their vocations. And how everything you ask them to do is building that capacity. Knowing why you are learning and that you are learning are powerful motivators.